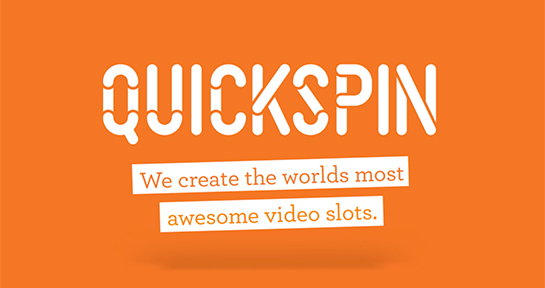 QuickSpin is a game developing company founded in Stockholm, Sweden in 2011. It is owned by PlayTech – the largest online gaming software provider in the world – that works on creating video slots of truly impressive quality. These slots come with very high quality graphics, dazzling colorful designs, and unique stories, qualities which reinforce that it is a company that wants to deliver the best product for its customers. The games can be played for free, as well as with betting real money when accessing online casinos. QuickSpin is definitely a company that believes in quality over quantity, having only around 34 slots available on their platform, however all of the highest standard. Crystal Queen, released by QuickSpin in 2015, is a slot based on the Disney hit Frozen and inspired by the Hans Christian Andersen’s story about an evil Snow Queen. This is a game with a unique gameplay with impressive multiplier levels. Each win increases the players paylines from 20 up to an impressive 56. If you want to experience this frozen land and see what it has to offer, you can try it out at Mr. Green Casino now! Illuminous is an eyecatching slot with a very futuristic design and exotic theme. This neon infused video slot has 5 reels and 20 paylines, and a maximum jackpot of 500 coins. Illuminous is better to be experienced rather than explained, so why not try it out at LeoVegas. Another slot full of adventure is The Three Musketeers, inspired by the tale written by Alexandre Dumas. The colourful, detailed animations and graphics transport the player back in time in the rural landscape of the 17th century France. This 5 reel and 20 paylines game has many bonuses and feature to be explored and is available to be played at Casino.com. All the games are available to be played on desktop and mobile devices. They are optimized for iOS, Android or Windows, therefore any player can take advantage of these top quality slots, regardless of their location. They offer welcome bonuses and extra spins, and an always-pleasant environment to play in. The slots are mostly inspired by well known books or tales, which will instantly touch the nostalgia cord of every player. Casino.com is a safe bet if you want to experience some of the best QuickSpin slots available. This casino has been around for more than 10 years and offers huge deposit bonuses, as well as prizes and giveaways for all its customers. Mr. Green is an online casino with multiple prestigious awards under its belt. It is a trustworthy casino that values safety and security, with a sleek design and fantastic selection of slots that are definitely worth exploring.